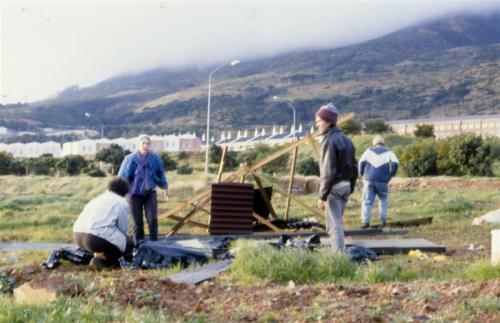 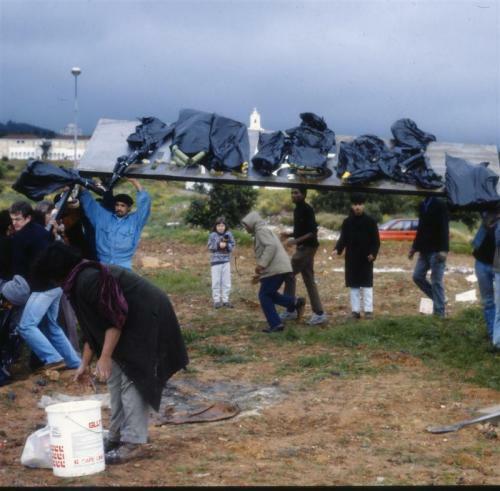 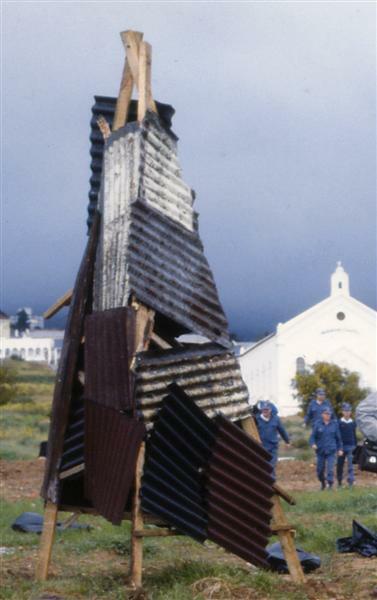 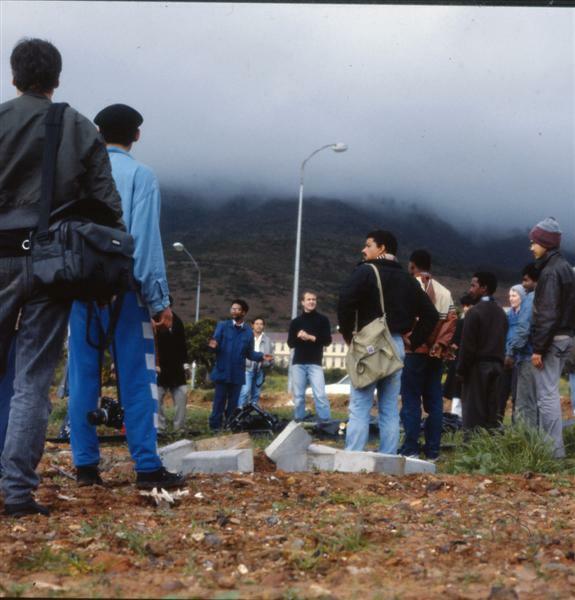 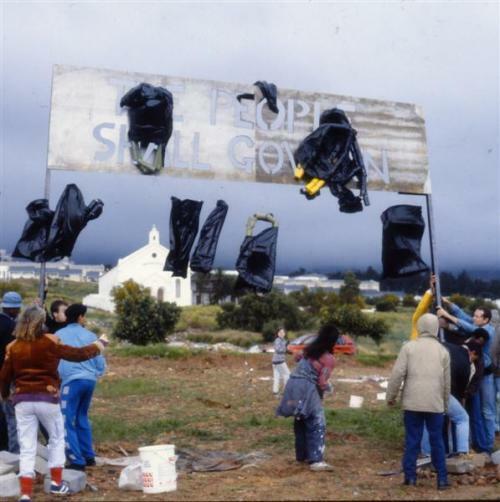 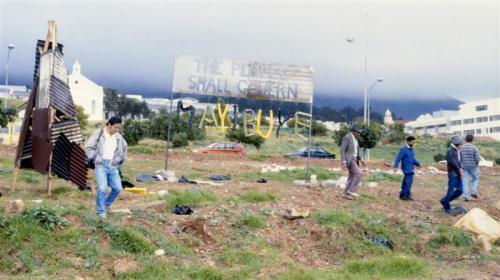 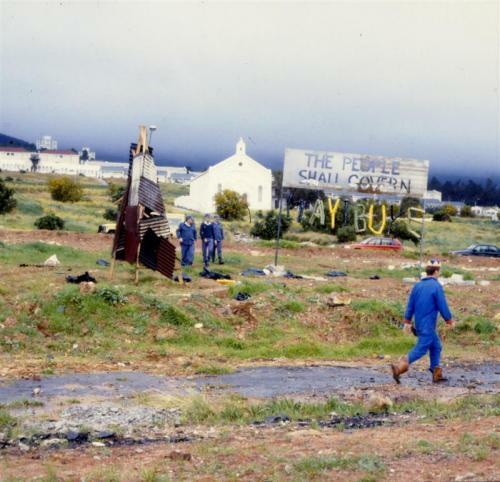 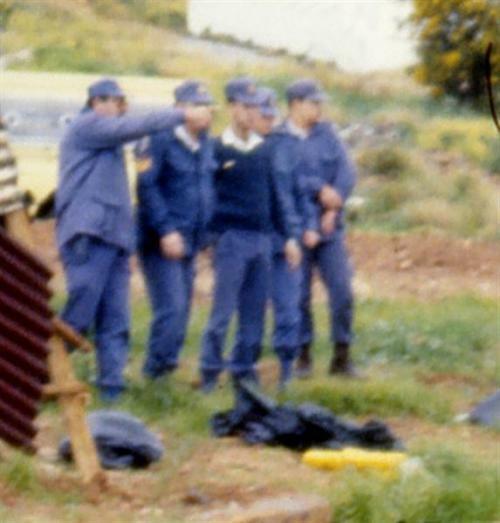 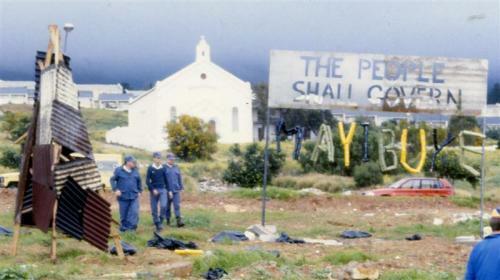 CWC was formed in Cape Town July 1988, i.e. 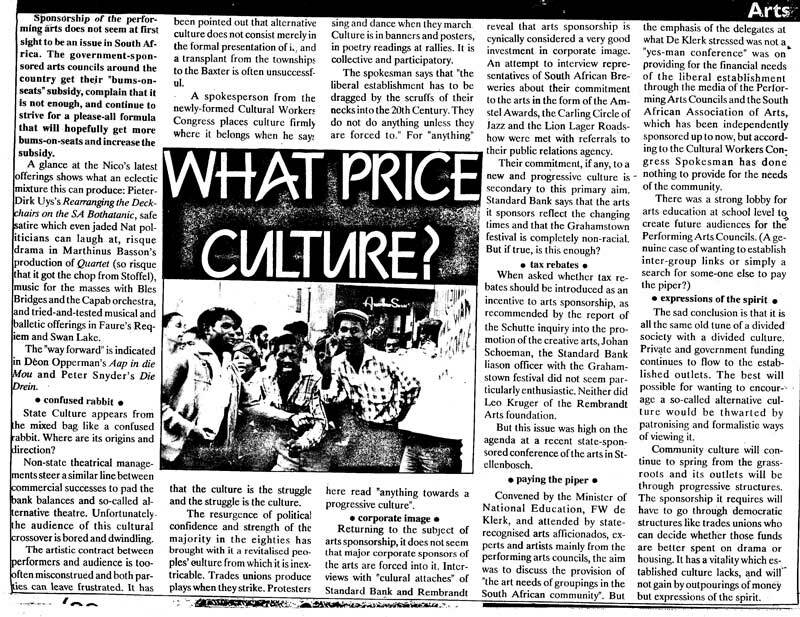 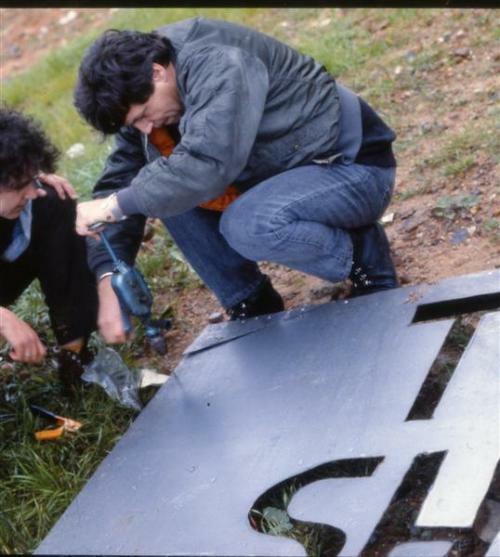 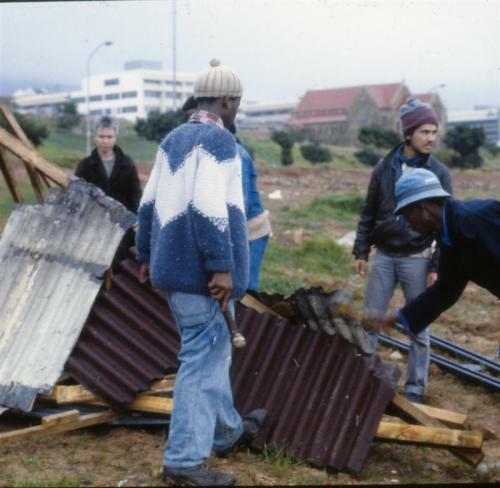 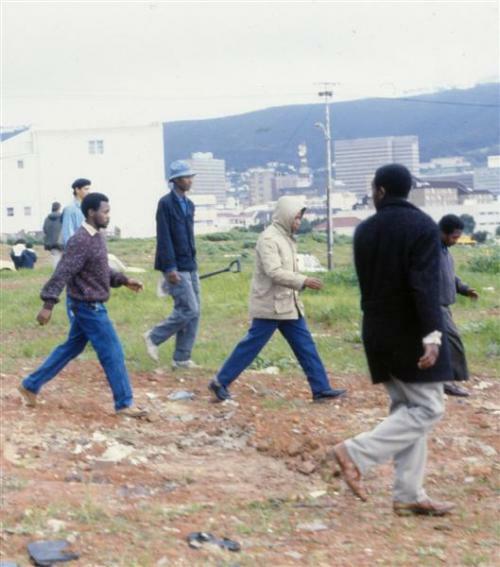 after the Culture in Another South Africa (CASA) conference in Amsterdam 1987. 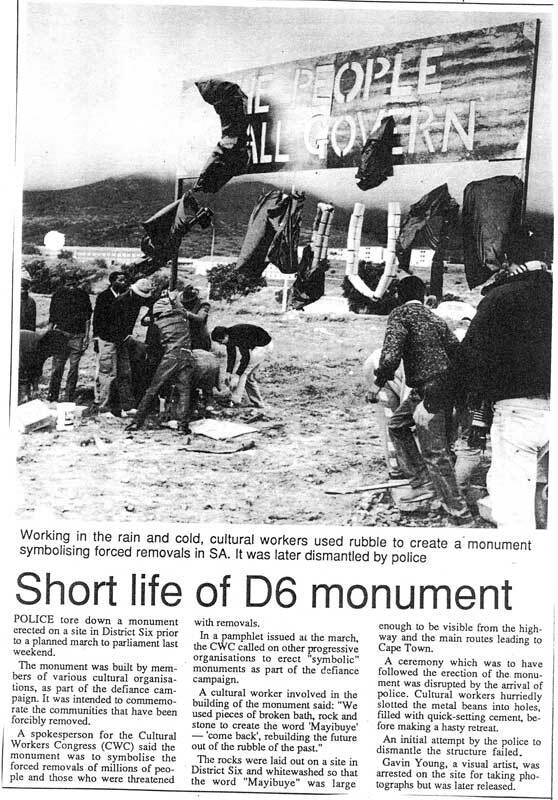 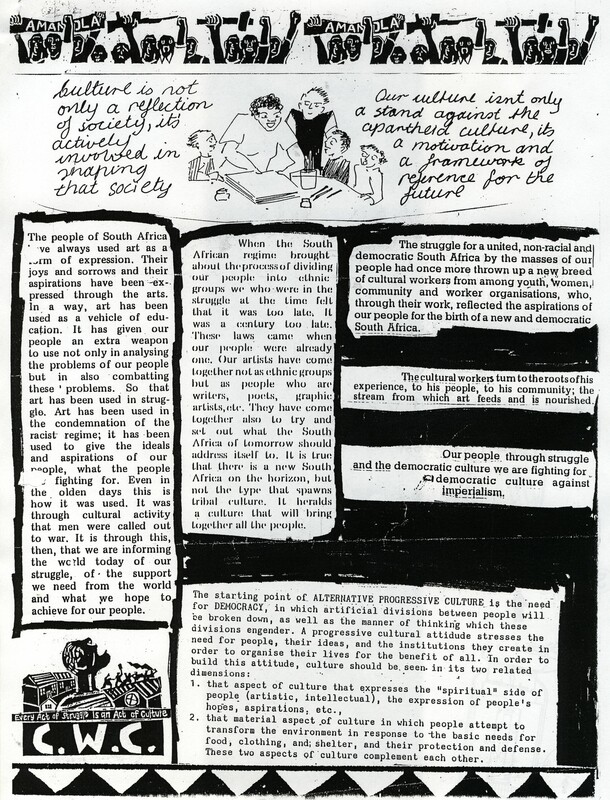 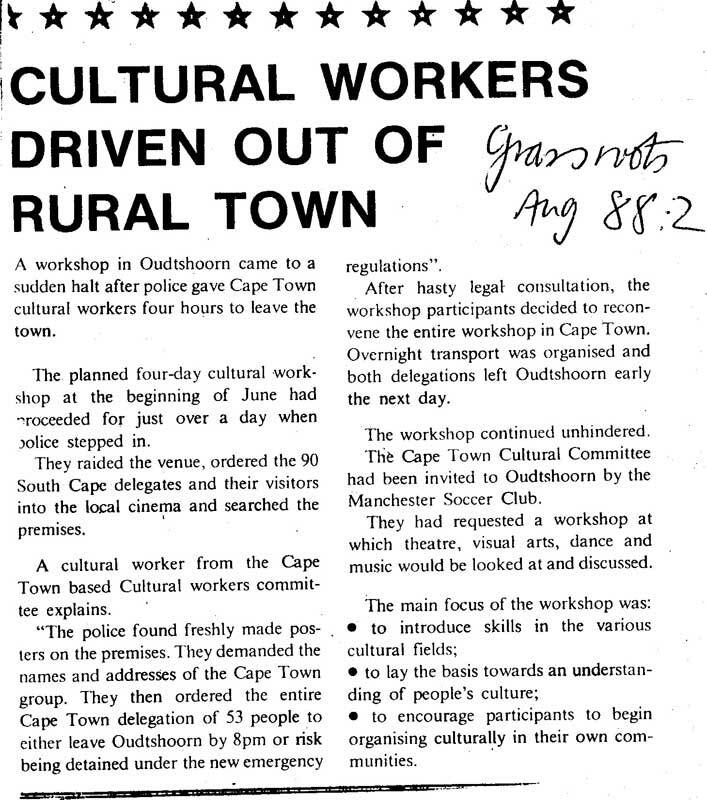 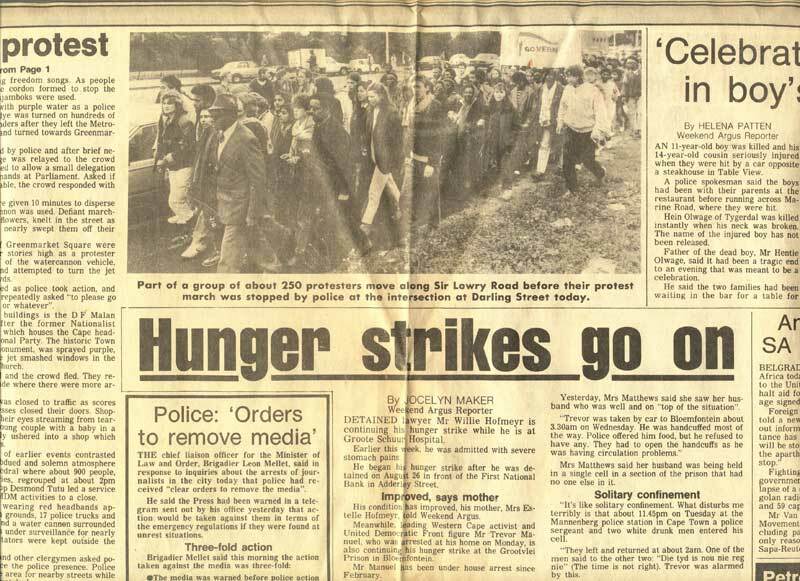 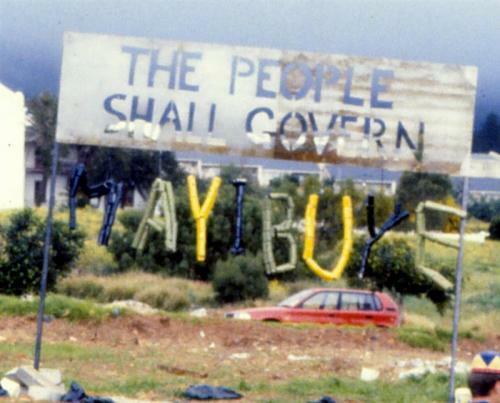 CWC aimed to mobilise cultural workers in the struggle against apartheid, and was affiliated to the United Democratic Front (UDF). 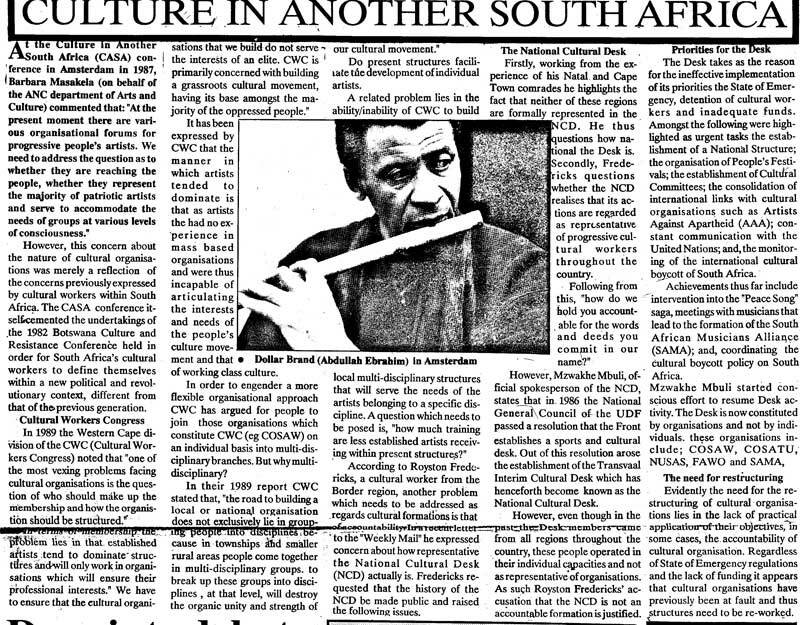 In 1989 the CWC restructured as an umbrella organization with affiliated organisations. 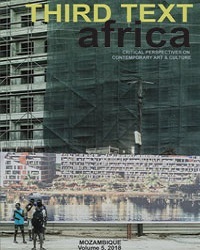 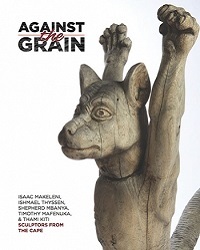 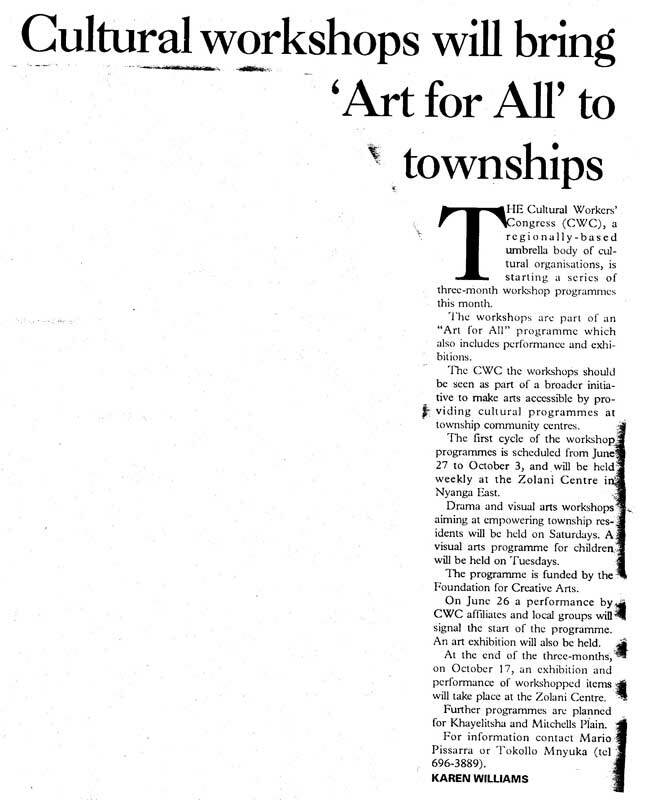 CWC was active in the establishment of the Federation of SA Cultural Organisations (FOSACO). 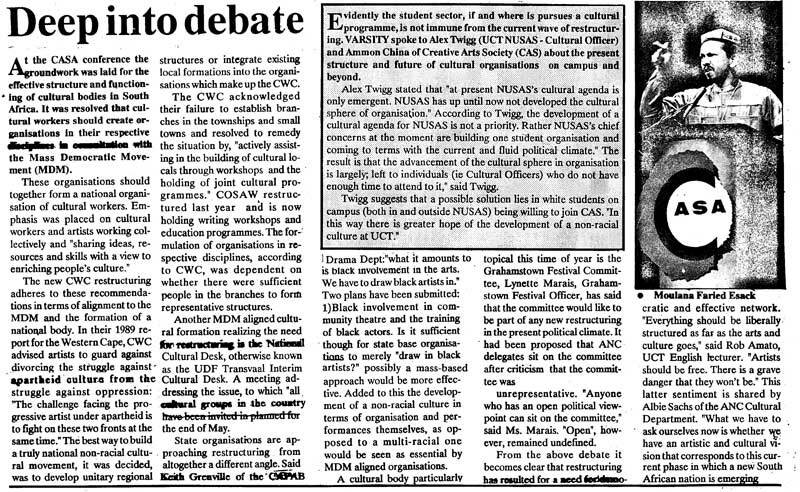 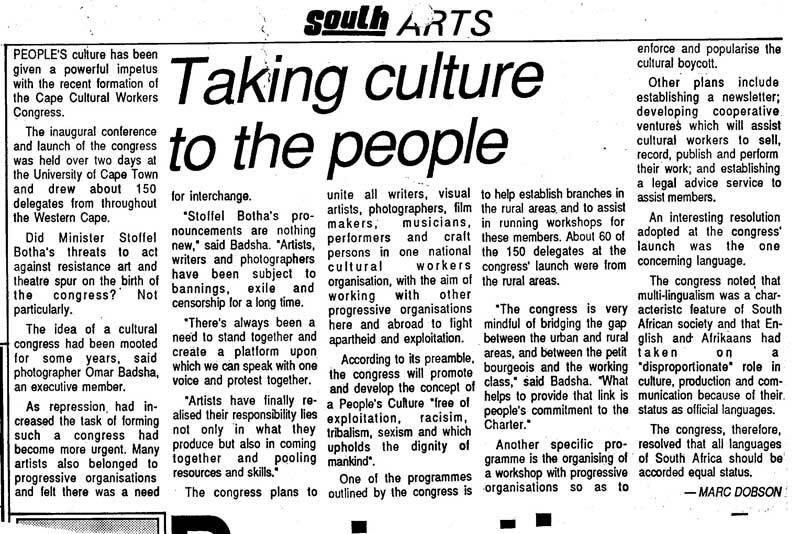 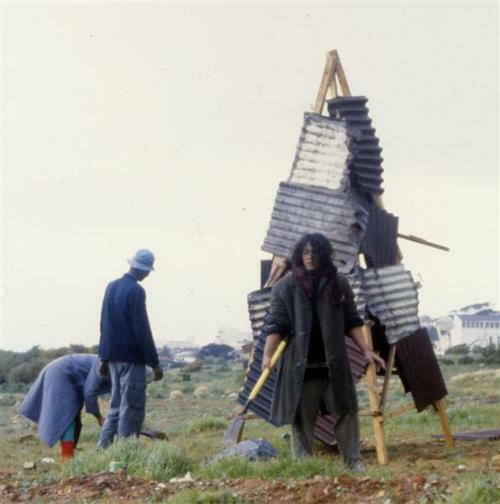 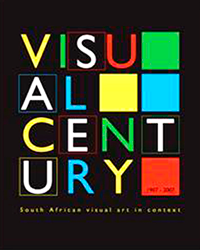 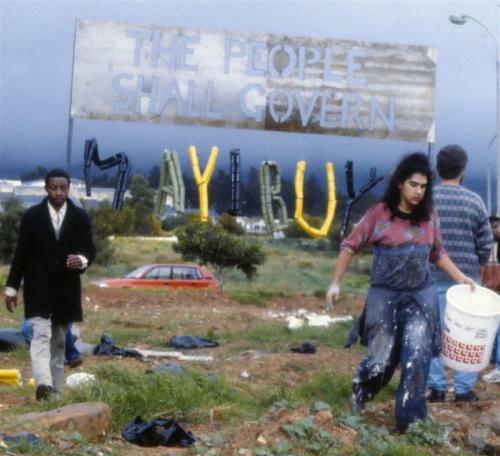 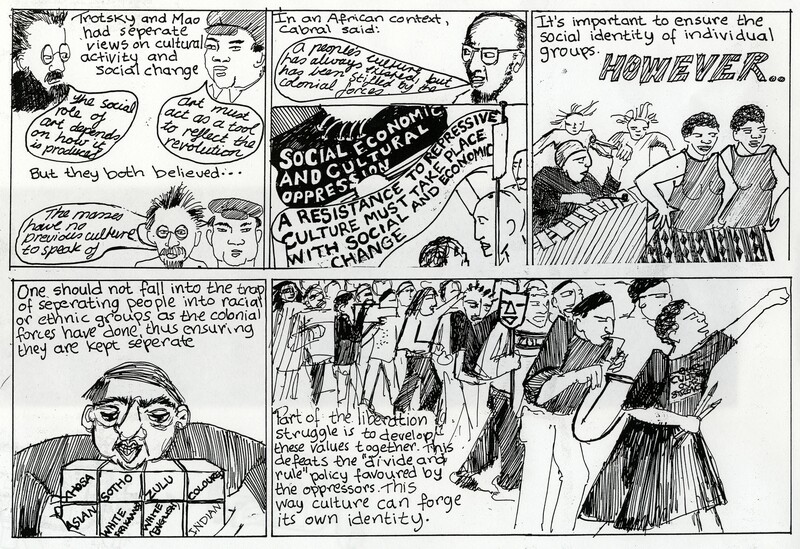 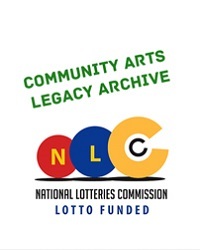 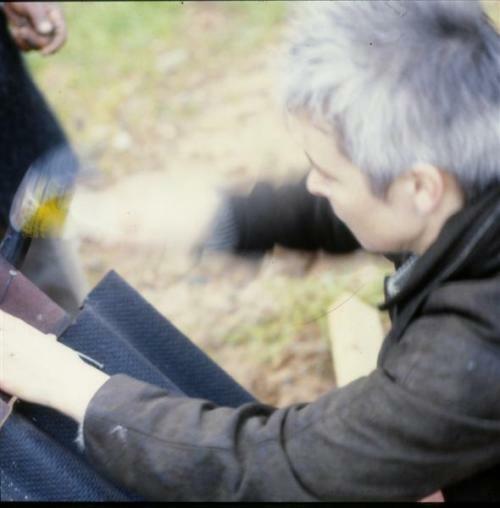 CWC disbanded after facilitating the formation of the Arts & Culture Development Network (ACDN) in 1994. 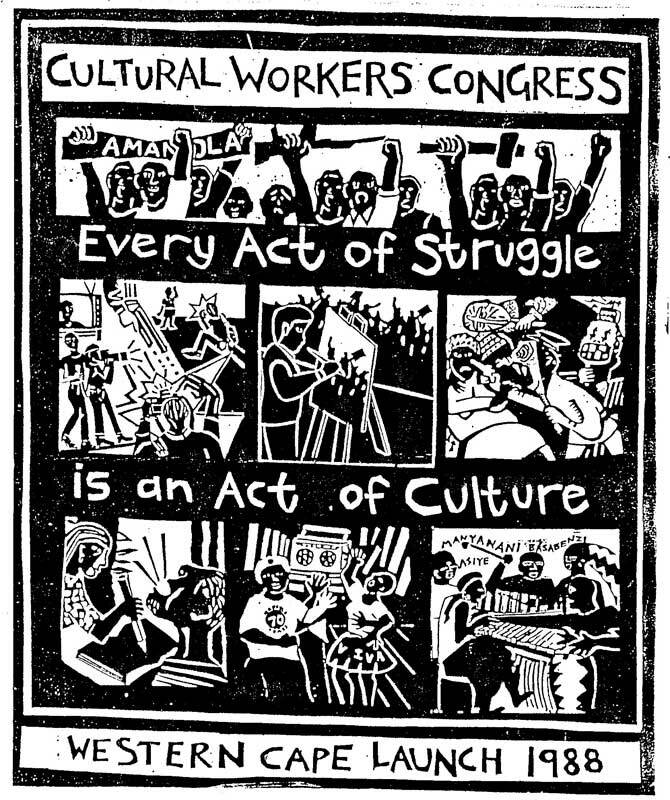 People listed here served on CWC’s executive committee (or steering committee), represented affiliates in General Councils, and/or represented CWC in national meetings.